Played in a large, multi-level arena with special lighting and musical back drop, players use their lasers to tag their opponents’ sensors to score points. 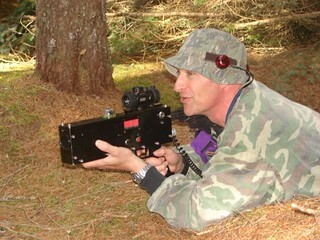 Laser combat can be played as both an individual and team event is quite popular among party groups. 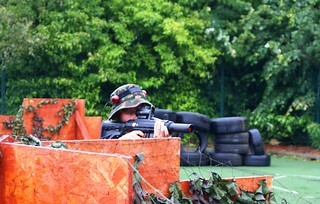 First in UK to use Adventure Sports MP5s. Avoid paintball carnage with a laser shooting game. No paintball costs! Includes mission briefing by experts and equipment. Want to try Clay Shooting without the loud noises? 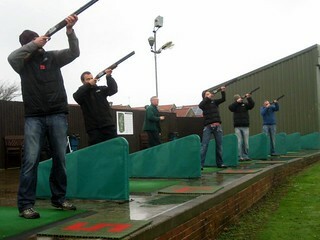 Laser Clays is perfect for larger groups and it is a shooting sport that can be enjoyed by everyone.